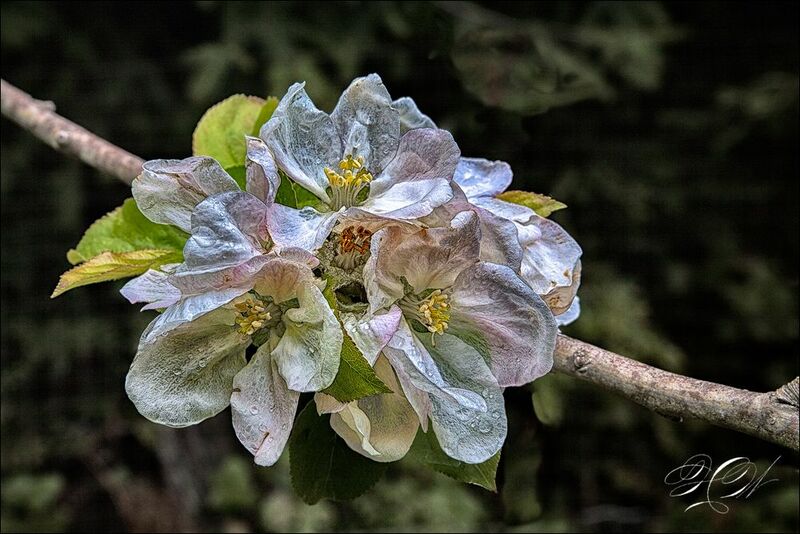 Translucent blossoms from a Waltana apple tree. This is not how they appear in nature. It’s how I think of them.